Wherever it hurts Advil is here to help in a faster, stronger, better form. 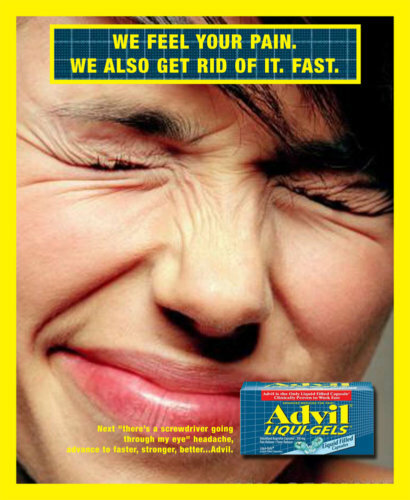 This simple graphic commercial focuses on a speeding Advil Liqui-gel whizzing around the screen and bursting apart to show the liquid inside. The simple message…its liquid fast, Advil strong. 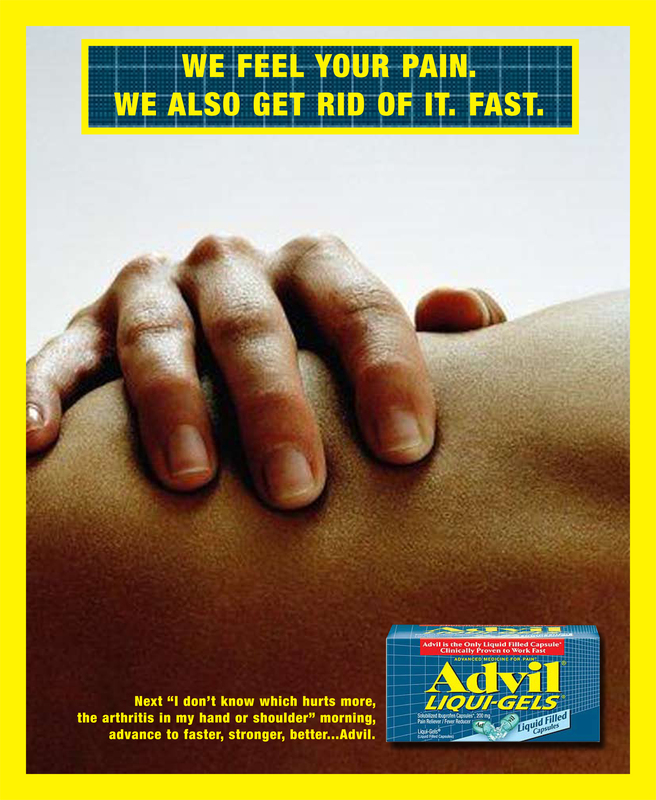 A reminder of why Advil in this faster, stronger, better liqui-gel form is just what you’ve been waiting for. 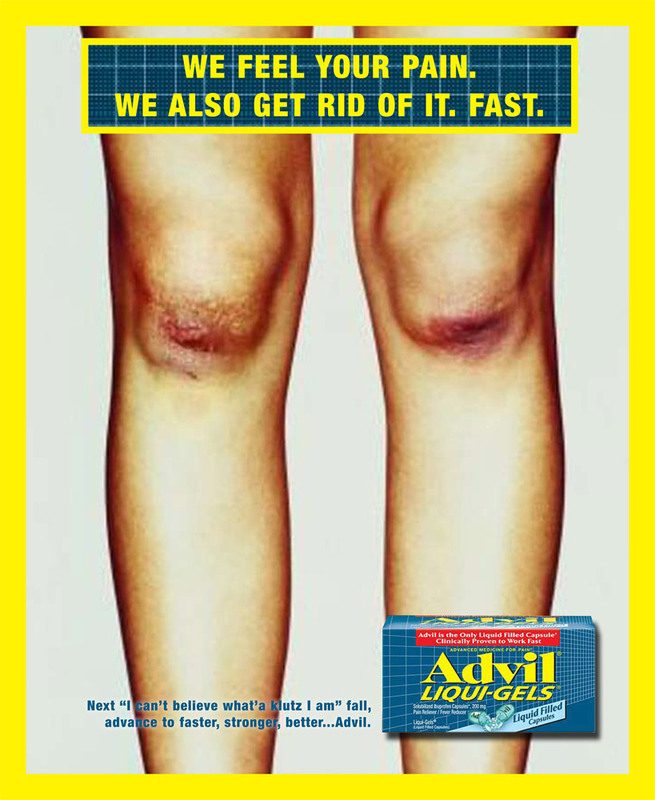 With the simple message…liquid fast Advil strong this spot scored in the top 1% of all analgesics.